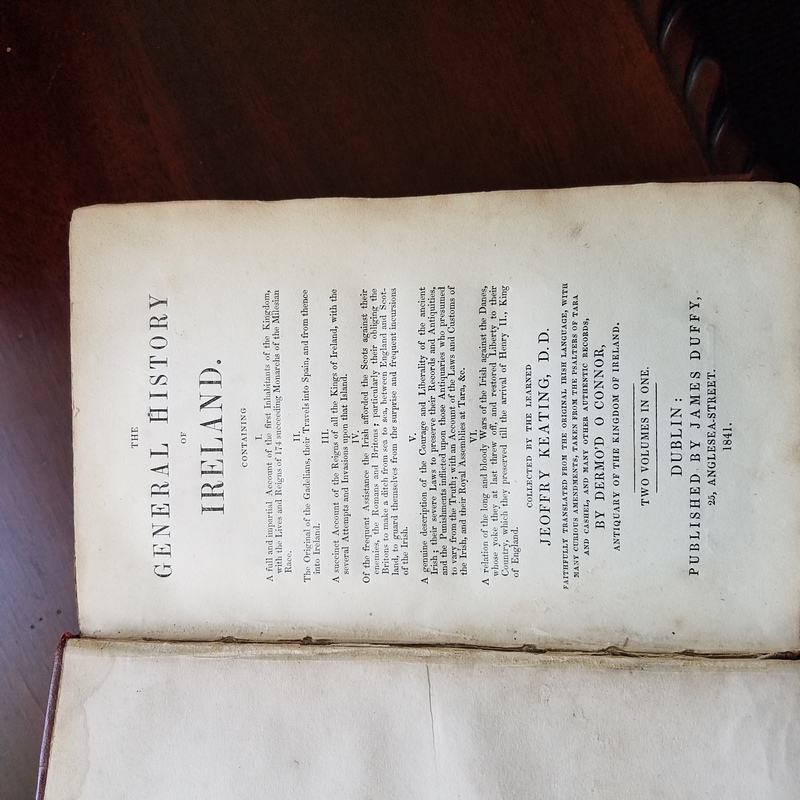 This rare collectable “The General History of Ireland, collected by the learned Jeoffry Keating D.D and faithfully translated from the Original Irish Language by Dermo’d O’Connor, Antiquary of the Kingdom of Ireland. Two volumes in one. 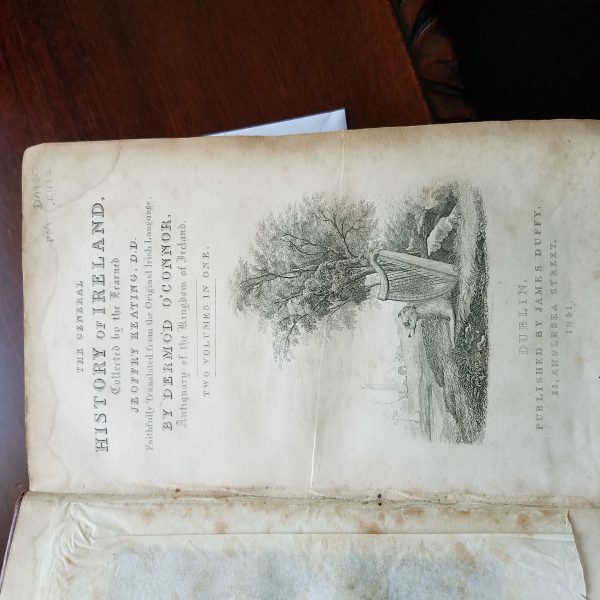 Published in Dublin by James Duffy in 1841.This rare copy is 177 years old in excellent used condition. This exceptional collecteble is leather bound. It includes “A full impartial account of the first Inhabitants of the Kingdom of Ireland with the lives and Reigns of 174 succeeding Monarchs of the Milesian Race. The Original Gadelians, their Travels into Spain and thence into Ireland. A succinct Account of Reigns of all the Kings of Ireland with the several Attempts and Invasions upon the Island. An account of the frequent Assistance the Irish afforded the Scots against their enemies. It further includes Genealogies of The MacMahon’s of Thomond, The MacNamara’s, The Magennises, The O’Connor’s of Kerry, The O’Connor’s of Roe, The Great O’Neills, The O’Domhnail, The Mageoghagan, The Kelly’s, The Dailriada of Scotland, The MacMorough, The Fitzpatrick’s – Kings of Ossery, the O’Dwyers and more……..